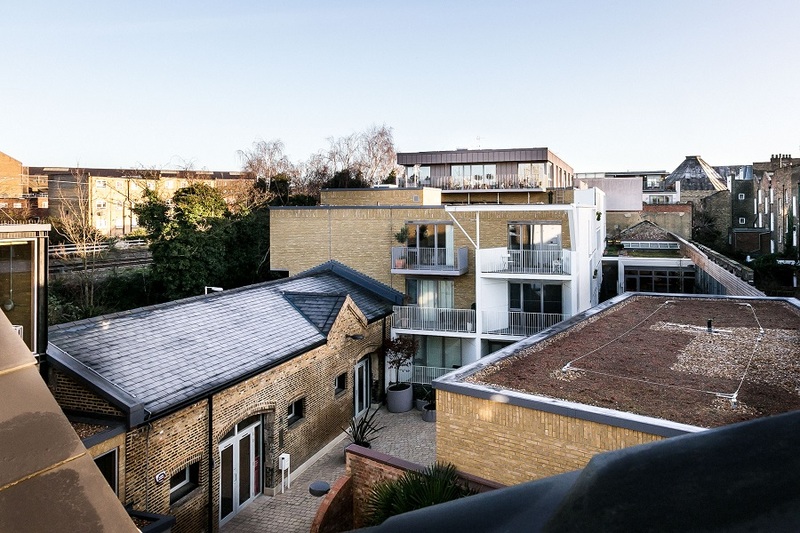 Four Hundred Caledonian Road is a sustainable mixed-use development on the historic ‘Cally Road’ in London’s Islington. 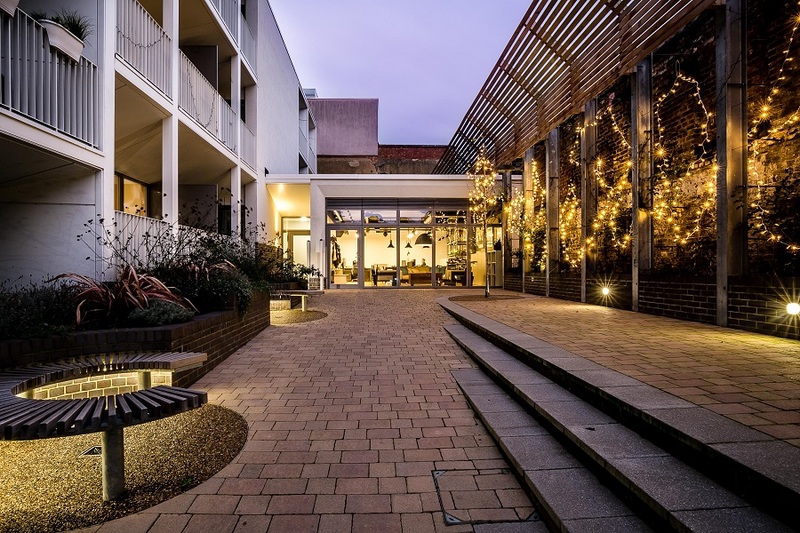 Comprising new homes, commercial studios and intimate courtyards, it has been designed to catalyse a vibrant new community within its walls and the wider community beyond its walls. igloo developed the strategy for creating that community. Buyers receive a share in the scheme’s management company, ensuring that they have a say in the future of the scheme and encouraging collaboration for the benefit of all. 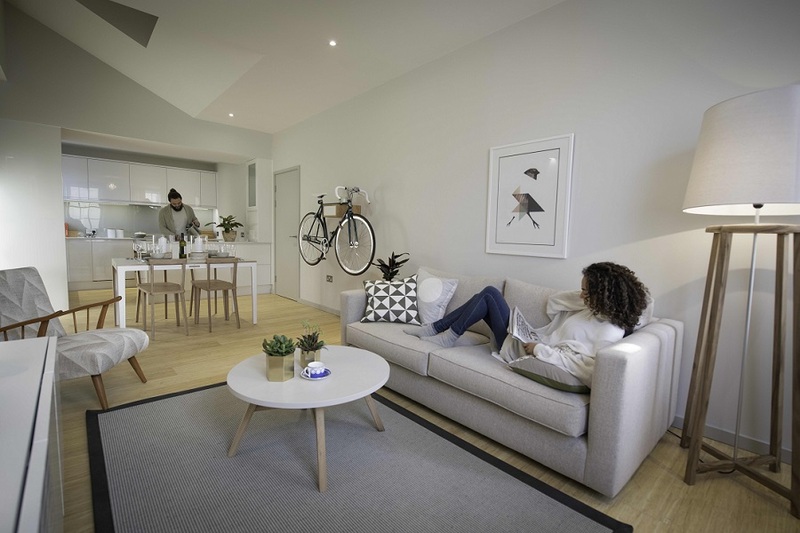 Such is the popularity of Four Hundred Caledonian Road that units sold out entirely at launch. 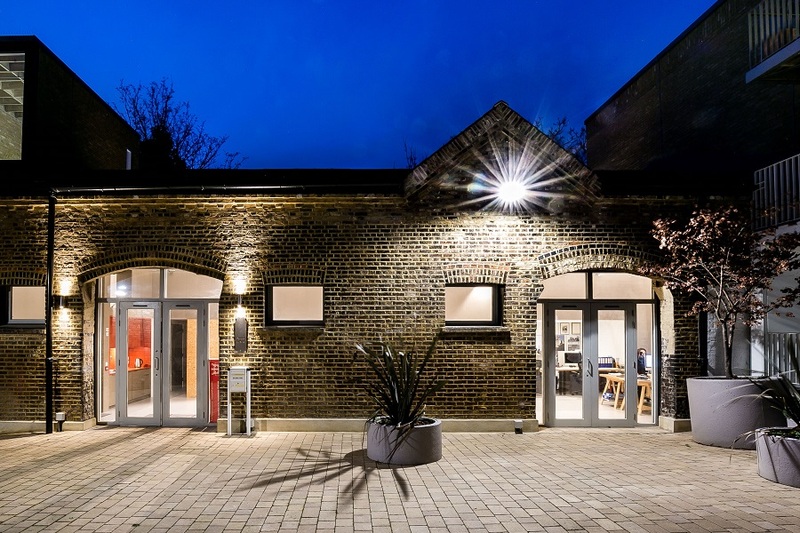 The commercial spaces are filled by creative businesses, including the scheme designers Brady Mallalieu Architects. igloo used a fabric first approach to designing the building, meaning the components and materials used were chosen to optimise performance. Time has been spent considering elements like the wall, floors, windows, roofs and insulation. As a result of the sustainable approach to design, heat loss from the building is very low, with a fabric performance that is 40% higher than the Building Regulation standard. In addition, an efficient communal Combined Heat and Power (CHP) engine produces heat and electricity for the homes. Mechanical Ventilation and Heat Recovery (MVHR) brings fresh air into the home without heat loss, and ‘green’ roofs provide added layers of insulation. The homes all boast cutting edge technology. There are Neo Wi-Fi connected thermostats in each room, which can be controlled via mobile devices, and underfloor heating with sustainably sourced bamboo flooring. 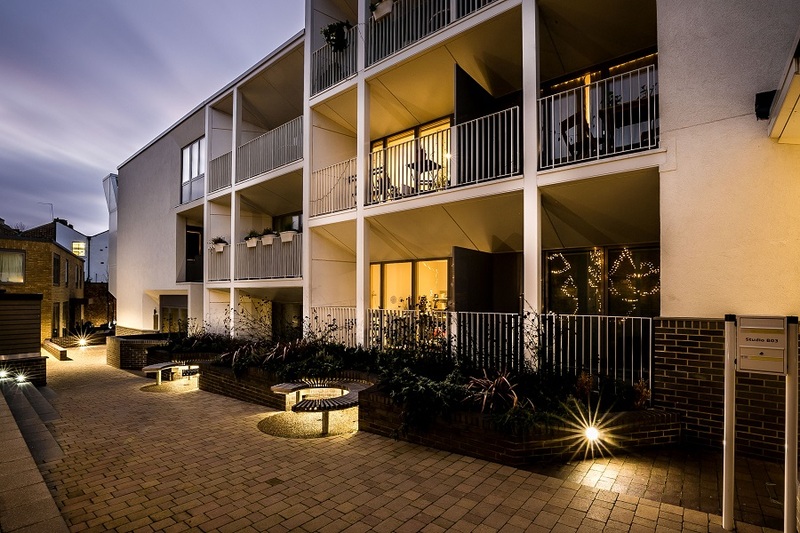 Each home has its own outdoor space and large balconies, as well as access to two green courtyards and cycle storage.